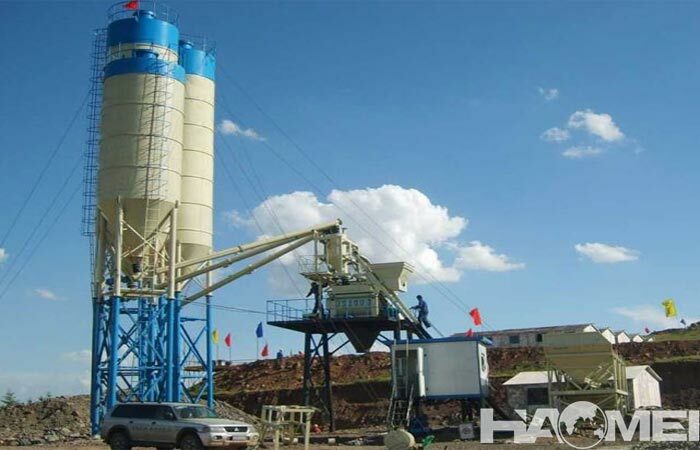 The HZS25 is a model of equipment in the mini concrete batch plant for sale, which mixing capacity is 25m3/h, and it has standard device and stable performance. 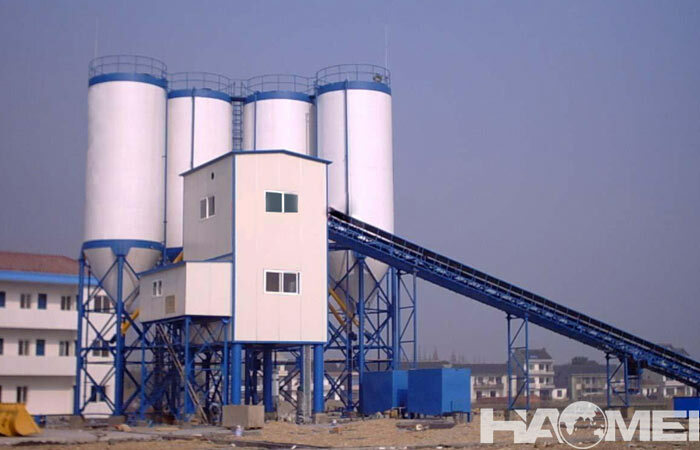 As the smallest model in HZS series concrete batch plants, let us take HZS25 mini concrete batch plant as a example, to see the configuration and workflow in details. First, before the HZS25 concrete batch plant start to running, the loading machine puts the classified aggregate into different bins for weighing. 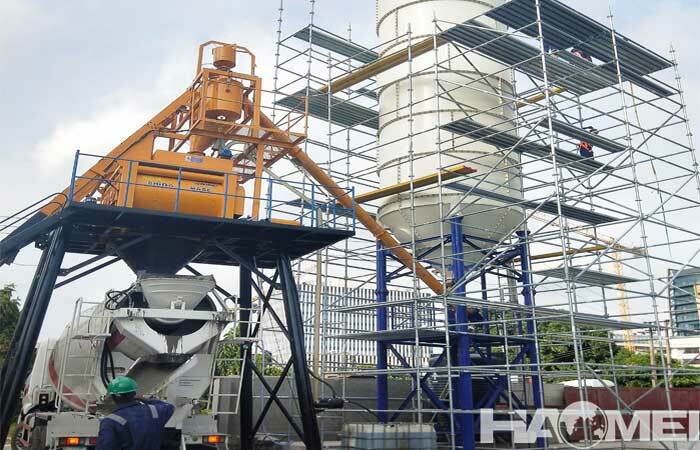 Then, each part of the aggregate is weighed by the batching machine, and then sent to the hopper elevator to be sent to the waiting hopper of the concrete mixer to wait for the weighing process of the powder and the liquid material. The powder is weighed from the cement silo through the screw conveyor into the powder weighing hopper suspended in the stirring platform, and the water and the additive are also pumped into the weighing hopper through the pump and the admixture for weighing, each powder, water and admixtures are all used in separate weighing hoppers. After the weighing of the admixture is completed, the water weighing hopper is mixed and added. 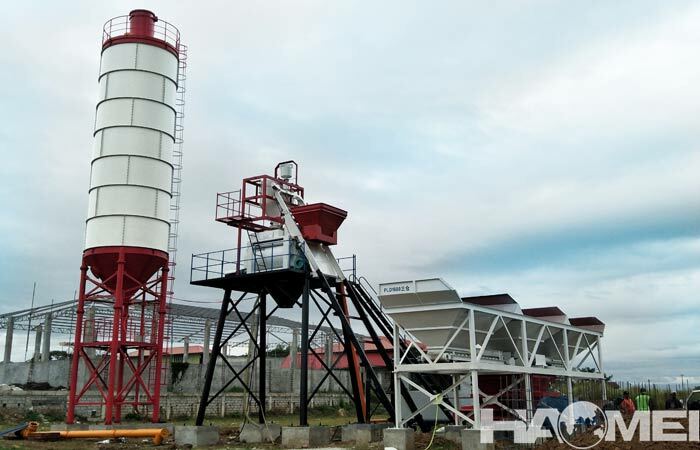 After each part of the material is weighed, it is added to the mixing drum in the order of aggregate of sand and gravel, powder, water and additive, and then stirred in the mixing machine for one cycle and discharged through the discharge port into the concrete transit mixer. 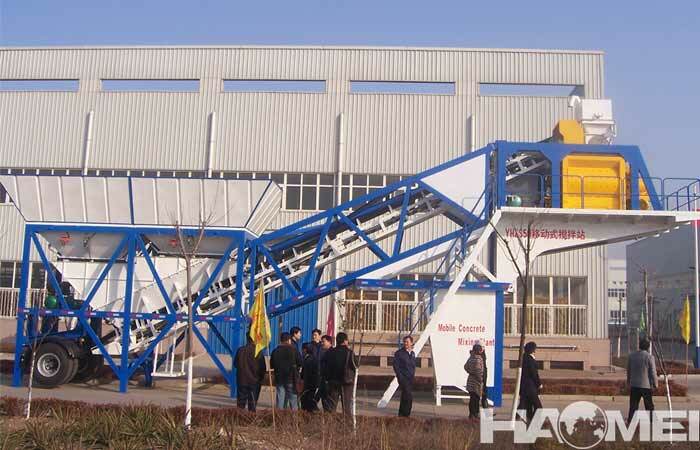 In general, the size of the HZS25 mini concrete batch plant for sale is small. In the case of a batching machine, usually three warehouses are sufficient. The cement silo is generally two. 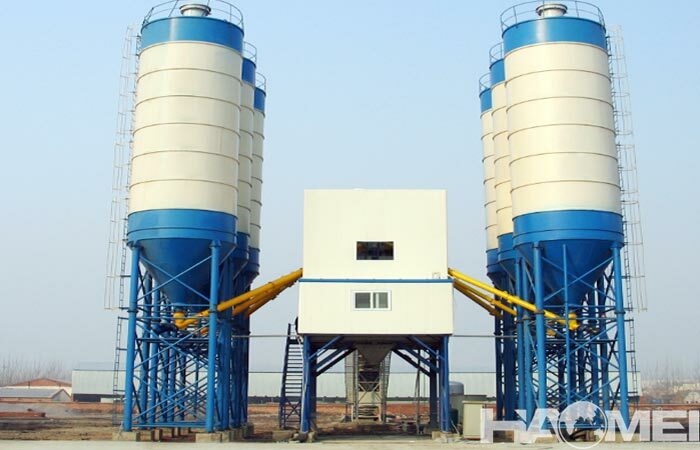 For HZS25 type mini concrete batch plant, sometimes under a specific project, a warehouse can also be used, a cement silo is equipped with a screw conveyor. The height of the discharge port of the hzs25 small concrete batch plant is generally 3.8m, and the mixing period is generally 60s. Next: How much is the mini batching plant price? » How much is the mini batching plant price?